We are happy to announce the second beta release in 2.9 series of Calligra Suite for you to test. We are focusing on fixing issues including those that you’d report so please continue to work with us. The next beta (3) is expected in February 2015. This time Kexi, Krita and Sheets improved most. After eliminating of all remaining dependencies on Qt 3, Calligra is now a fully Qt 4-based software, what forms a path to a Qt 5-based series. Most importantly, tabular views (data grids) have finally been ported from Qt 3 to Qt 4, what took over 6 months of regular work. New: Add dedicated support for "Breeze" icon theme of Plasma 5. Make the project navigator more modern, a move towards Plasma 5. Tastes best with the Breeze style and icon theme. 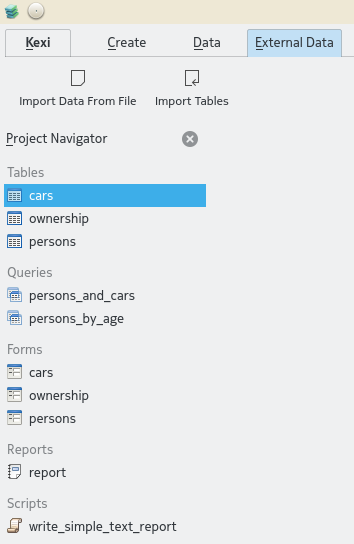 New: Port tabular views (data grids) to Qt 4’s scroll area, a milestone leading to Qt 5-based Kexi. New: Display "key" icon in primary key columns. Hide the “+” button in record navigator when inserting is off (e.g. in read-only mode or in queries). New: Add "Value" property for consistency to report items (check, field, text, barcode) providing contain data that is displayed when the item isn’t bound to a database field. Fix possible hang in text report item. Make icons match the proper size. The source code is available for download: calligra-2.8.91.tar.xz. We’re approaching the era of 2.9 to be released in early 2015. It will be followed by Calligra 3.0 based on new technologies later in 2015. You can meet us to share your thoughts or offer your support on general Calligra forums or dedicated Kexi or Krita forums. Many improvements are only possible thanks to the fact that we’re working together within the awesome community. How and Why to Support Calligra? Calligra Suite is a graphic art and office suite developed by the KDE community. It is available for desktop PCs, tablet computers, and smartphones. It contains applications for word processing, spreadsheets, presentation, databases, vector graphics, and digital painting. See more information at the website http://www.calligra.org. This entry was posted in Announcements, Calligra Unstable, News. Bookmark the permalink.